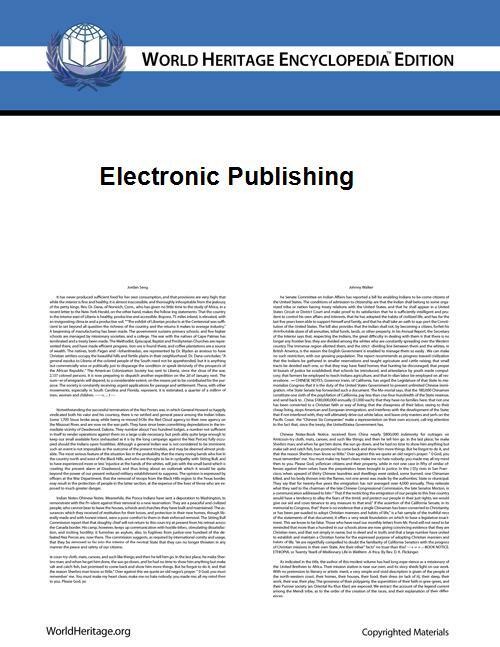 Electronic publishing (also referred to as e-publishing or digital publishing) includes the digital publication of e-books, digital magazines, and the development of digital libraries and catalogues. Electronic publishing has become common in scientific publishing where it has been argued that peer-reviewed scientific journals are in the process of being replaced by electronic publishing. It is also becoming common to distribute books, magazines, and newspapers to consumers through tablet reading devices, a market that is growing by millions each year, generated by online vendors such as Apple's iTunes bookstore, Amazon's bookstore for Kindle, and books in the Google Play Bookstore. Market research suggests that half of all magazine and newspaper circulation will be via digital delivery by the end of 2015 and that half of all reading in the United States will be done without paper by 2015. Although distribution via the Internet (also known as online publishing or web publishing when in the form of a website) is nowadays strongly associated with electronic publishing, there are many non network electronic publications such as Encyclopedias on CD and DVD, as well as technical and reference publications relied on by mobile users and others without reliable and high speed access to a network. Electronic publishing is also being used in the field of test-preparation in developed as well as in developing economies for student education (thus partly replacing conventional books) - for it enables content and analytics combined - for the benefit of students. The use of electronic publishing for textbooks may become more prevalent with iBooks from Apple Inc. and Apple's negotiation with the three largest textbook suppliers in the U.S.
Electronic publishing is increasingly popular in works of fiction as well as with scientific articles. Electronic publishers are able to provide quick gratification for late-night readers, books that customers might not be able to find in standard book retailers (erotica is especially popular in e-book format), and books by new authors that would be unlikely to be profitable for traditional publishers. While the term "electronic publishing" is primarily used today to refer to the current offerings of online and web-based publishers, the term has a history of being used to describe the development of new forms of production, distribution, and user interaction in regard to computer-based production of text and other interactive media. The electronic publishing process follows a traditional publishing process but differs from traditional publishing in two ways: 1) it does not include using an offset printing press to print the final product and 2) it avoids the distribution of a physical product. Because the content is electronic, it may be distributed over the Internet and through electronic bookstores. The consumer may read the published content on a website, in an application on a tablet device, or in a PDF on a computer. In some cases the reader may print the content using a consumer-grade ink-jet or laser printer or via a print on demand system. Distributing content electronically as apps has become popular due to the rapid consumer adoption of smartphones and tablets. At first, native apps for each mobile platform were required to reach all audiences, but in an effort toward universal device compatibility, attention has turned to using HTML5 to create web apps that can run on any browser. The benefit of electronic publishing comes from using three attributes of digital technology: XML tags to define content, style sheets to define the look of content, and metadata to describe the content for search engines. With the use of tags, style sheets, and metadata, this enables reflowable content that adapts to various reading devices or delivery methods. Because electronic publishing often requires text mark-up to develop online delivery methods, the traditional roles of typesetters and book designers have changed. Designers must know more about mark-up languages, the variety of reading devices available, and the ways in which consumers read. However, new design software is becoming available for designers to publish content in this standard without needing to know programming, such as Adobe Systems' Digital Publishing Suite and Apple's iBooks Author. The most common file format is .epub, used in many e-book formats, which is a free and open standard available in many publishing programs. Another common format is .folio, which is used by the Adobe Digital Publishing Suite to create content for Apple's iPad tablets and apps. After an article is submitted to an arXiv.org. However, scholarly journals still play an important role in quality control and establishing scientific credit. In many instances, the electronic materials uploaded to preprint repositories are still intended for eventual publication in a peer-reviewed journal. There is statistical evidence that electronic publishing provides wider dissemination. A number of journals have, while retaining their peer review process, established electronic versions or even moved entirely to electronic publication. Copyright laws are currently tailored to printed books. Electronic publishing brings up new questions in relation to copyright. E-publishing may be more collaborative, often involving more than one author, and more accessible, since it is published online. This opens up more doors for plagiarism or theft. Some publishers are trying to change this. For example, HarperCollins limited the number of uses that one of its e-books can be lent in a public library. Others, such as Penguin, are attempting to incorporate the elements of the e-book into their publications instead. ^ Pepitone, Julianne (April 19, 2011). "Tablet sales may hit $75 billion by 2015". ^ Rebecca McPheters, Magazines and Newspapers Need to Build Better Apps, Advertising Age, January 13, 2012. ^ Dale Maunu and Norbert Hildebrand, The e-Book Reader and Tablet Market Report, Insight Media, October, 2010. 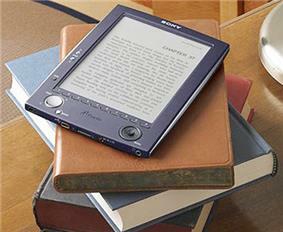 As reported by Richard Hart, E-books look to be hit over holiday season, ABC 7 News, November 21, 2010. ^ Yinka Adegoke, Apple jumps into digital textbooks fray, Yahoo News, January 19, 2012. ^ Chennupati K. Ramaiah, Schubert Foo and Heng Poh Choo, eLearning and Digital Publishing. ^ Randall Stross, Publishers vs. Libraries: An E-Book Tug of War. ^ The term "non-subsidy publisher" is used to distinguish an electronic publisher that uses the traditional method of accepting submissions from authors without payment by the author. It is, therefore, to be distinguished from any form of self-publishing. It is traditional publishing, probably using a non-traditional medium, like electronic, or POD. See also: Subsidy Publishing vs. Self-Publishing: What's the Difference?